Valutata dagli ospiti dopo il soggiorno presso Art-Nouveau. Se siete in 4 o 5 la sistemazione proposta è super! Michaela e Daniel sono stati gentilissimi, cordiali e assolutamente ospitali; appartamento centralissimo, abbiamo raggiunto comodamente a piedi la maggior parte dei punti di attrazione della città. Struttura elegante, pulitissima e dotata di ogni comfort. Appartamento stupendo, confortevole al punto di non volercene andare, proprietari meravigliosi, gentilissimi e disponibili ad ogni ns esigenza. 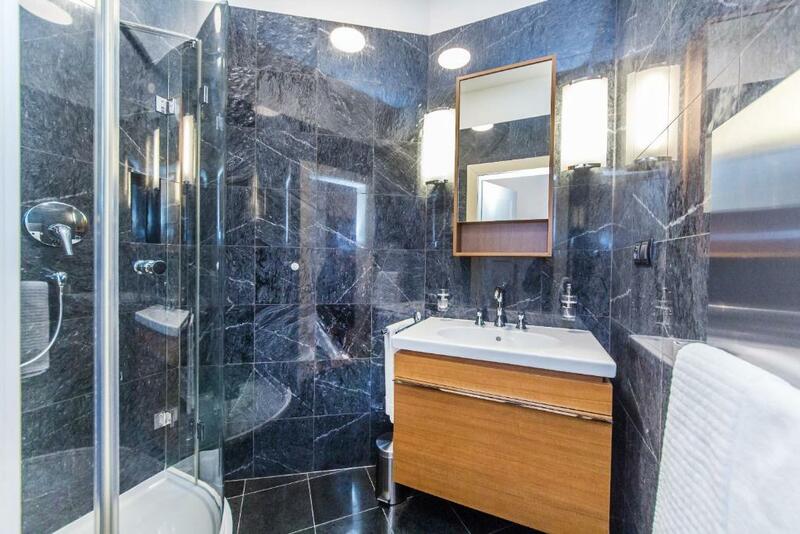 The property was immaculate, with furnishing and facilities of a high standard. It was also lovely and quiet. The location, one of the main reasons for booking this, was perfect. Easy walking distance to everything we wanted to see in Prague and right near the metro for journey a bit further afield. The host has thought hard about making people's stay comfortable and was very welcoming, leaving some extra treats on arrival and providing great recommendations for food shopping and restaurants. Great location, apartment was beautiful and very clean. Daniel was welcoming and friendly, arranged airport transfers for us and gave us lots of tips. He was on hand to help over the phone during our stay. The beds were soooo comfortable and kitchen had all mod cons. We had a great stay and enjoyed Prague. 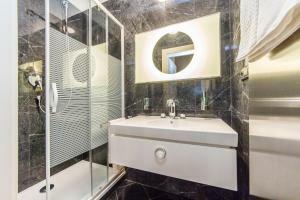 Great communication apartment is beautiful,great location everything you could need laundry room with separate washing machine and dryer.great Little shop directly below for supplies . Do not eat around old town to expensive ,found a great little local restaurant from the communist time very authentic local food and so cheap it was different just to go there, Havelaska Koruna,lovely hosts . 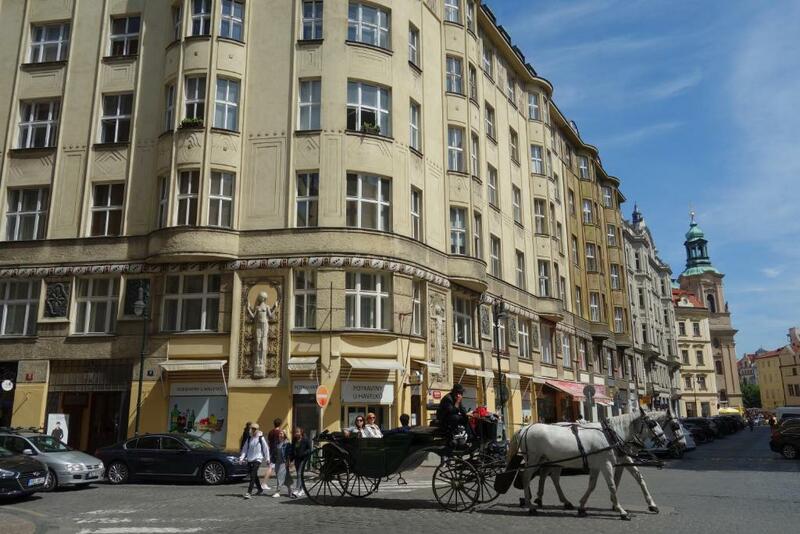 The apartment was very centrally located making it very convenient to walk to all of the tourist sights and restaurants. The bed was very comfortable. The bathrooms and shower were very small. We liked all the thoughtful touches, the convenience of the location, the tasteful decor, the helpful host and the quality facilities. We had a wonderful stay. We stayed at this apartment for the Prague Marathon. We spend 5 days here with another couple. Our host Daniel was excellent. He met us at the apartment and allowed us an early check in, as we had arrived in the morning. Even though the apartment was still being cleaned we were able to meet with Daniel to check in and hand over keys and find out all information. Daniel had maps available for us as well as tourist information about Prague. The free wifi worked really well. The apartment is absolutely stunning! It is beautifully restored and well appointed with top quality appliances, bedding, toiletries, and includes everything you need including laundry and kitchen cleaning products. 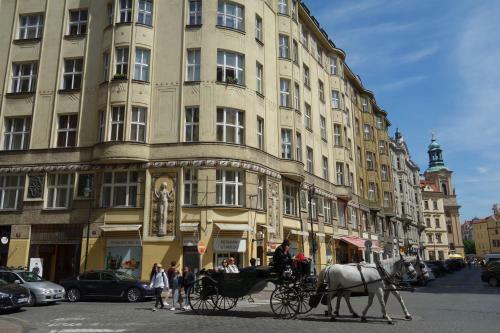 The apartment is in an excellent position very centrally located close to Old Town Square. The apartment is super quiet once you close the double glazed windows. The question is what didn’t we like! There is so many things to list that we loved and nothing that we didn’t! Daniel was a lovely and helpful host! The lady who cleans the apartment does an amazing job, I could eat my dinner off the toilet! The welcome chocolates and champagne were an amazing thoughtful touch! Assicurati un ottimo prezzo per Art-Nouveau, valutato di recente dagli ospiti con un punteggio di 9,9. Una delle nostre scelte top a Praga, e i clienti approvano. L'Art-Nouveau sorge a Praga, a 200 metri dalla Piazza della Città Vecchia e a 300 metri dall'Orologio Astronomico e da un parcheggio pubblico sotterraneo a pagamento. Soggiornerete in un alloggio di lusso, che vanta opere d'arte originale e un connubio di tecnologie moderne e mobili d'epoca restaurati. Provvista di biancheria da letto e asciugamani, la sistemazione presenta una cucina ben attrezzata, inclusiva di lavastoviglie, microonde, forno e macchina da caffè/espresso. Comprende inoltre 2 bagni e un soggiorno ampio e luminoso, con vista sul Castello di Praga. Avrete a disposizione anche una lavatrice, un'asciugatrice e un ferro da stiro. L'Art-Nouveau dista 500 dal Ponte Carlo, 1 km da Piazza San Venceslao e 14 km dall'Aeroporto di Praga Václava Havla, il più vicino. Quando vuoi soggiornare presso Art-Nouveau? Tutte le camere da letto sono dotate di bagno privato con doccia e riscaldamento a pavimento. La 1° camera include 1 letto matrimoniale grande (200x200 cm), e la 2° camera presenta 1 letto matrimoniale (180x200 cm) o 2 letti singoli (90x200 cm) e 1 letto supplementare (80x190 cm). La struttura dispone di un ampio soggiorno con vista verso l'area sud-occidentale della zona storica della città e del Castello di Praga. Parcheggio pubblico disponibile in zona senza prenotazione al costo di 26 EUR al giorno . 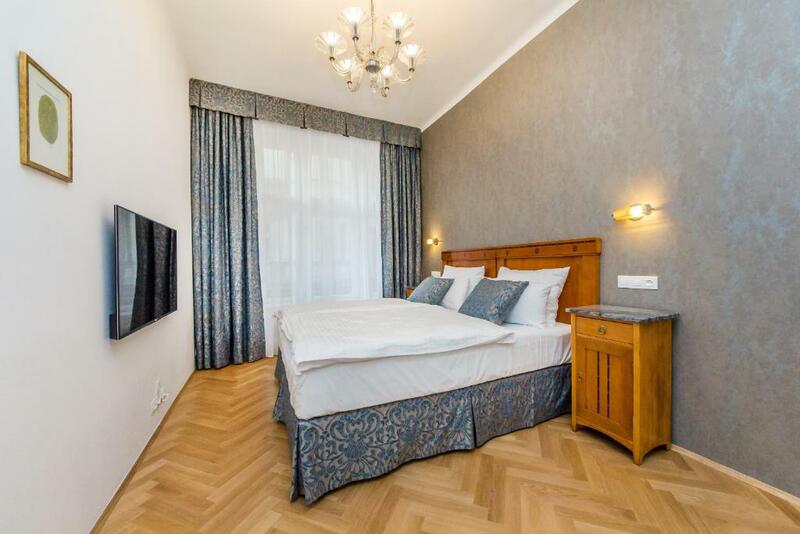 Art-Nouveau offers luxury accommodation in the unique position of the centre of Prague, 200 meters from the Old Town Square. 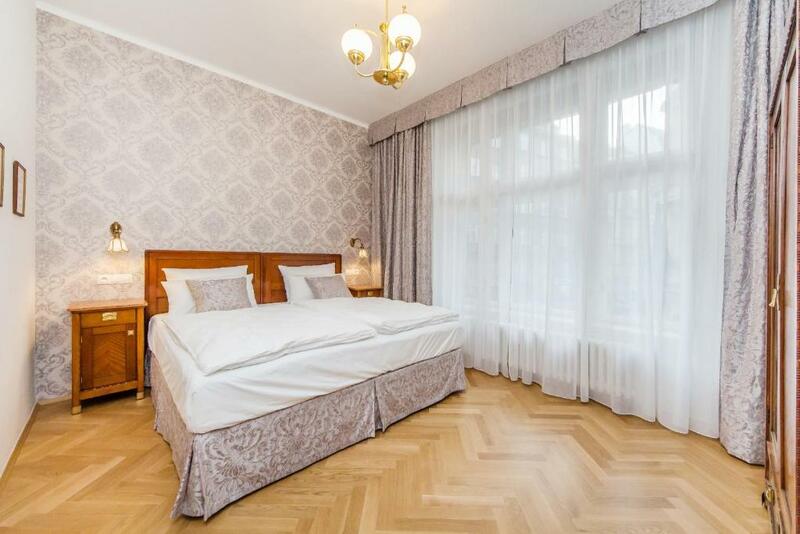 The apartment is situated in a beautiful and newly renovated Art Nouveau building from 1906, which is part of the city’s UNESCO-protected historic centre. Apartment Art-Nouveau is designed for those looking for the peace and privacy of one’s own home combined with the comfort of a luxury hotel. The apartment was fully refurbished in 2016 while preserving all of its historical elements and carefully furnished with a discerning eye for detail. The experience of your stay will be furtherly enhanced by the combination of restored period pieces, original artworks, parquet floors, marble bathrooms with floor heating combined with the newest in-house technology. The apartment is both spacious (92 sqm) and cozy, in this way satisfying even the most demanding visitors. A stay in Art-Nouveau offers an out of the ordinary experience for both the couple seeking a romantic get-away as well as families with children. 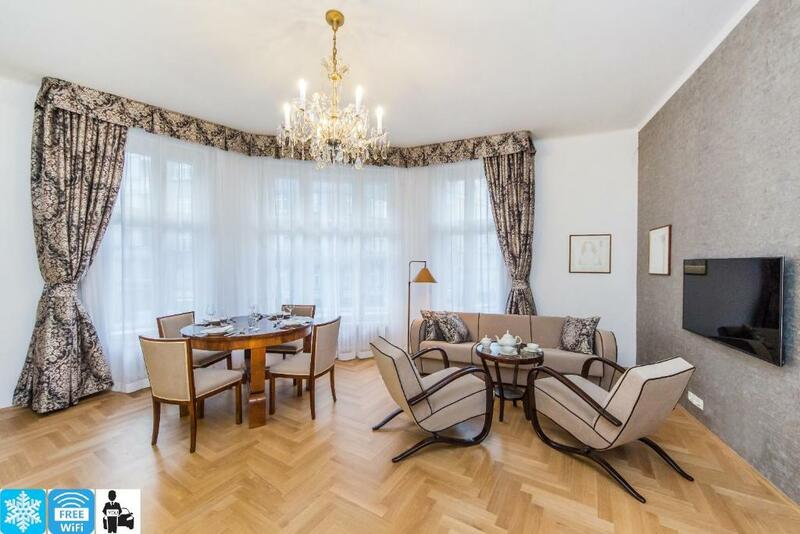 Bright spacious living room with sofa and dining area and large windows provide south and west views of the historical city and Prague Castle. We love travelling and prefer accommodation in private apartments. Our own experiences have served as an inspiration for us to give our guests more than they can usually find in a vacation apartment. Leggi prima di prenotare Art-Nouveau accetta le richieste speciali. Aggiungile nel prossimo passaggio! Art-Nouveau accetta queste carte di credito e si riserva il diritto di trattenere temporaneamente un importo prima del tuo arrivo. I clienti devono rispettare il silenzio tra le 22:00 e le 06:00. Siete pregati di notare che la struttura richiede pagamenti in CZK. La tariffa riportata in EUR è indicativa e basata sul tasso di cambio al momento della prenotazione. Il servizio di trasferimento aeroportuale prevede un supplemento di 30 EUR. Presso questa struttura è severamente vietato organizzare feste. Si prega di limitare qualsiasi rumore non necessario tra le 22:00 e le 06:00. Siete pregati di comunicare in anticipo a Art-Nouveau l'orario in cui prevedete di arrivare. Potrete inserire questa informazione nella sezione Richieste Speciali al momento della prenotazione, o contattare la struttura utilizzando i recapiti riportati nella conferma della prenotazione.